Allow us to hold the space for your next workshop, retreat or teacher training! AHKí is a boutique retreat with BIG energy, hosting only one group at a time (yours!). Our unique, Vastu-built space provides an intimate container supporting all kinds of group work. So much so, many of our group leaders and participants have returned 2, 3, 4 and 5 times. From the food to the yoga shala, to the beautifully appointed guest rooms and personalized service, our clients know they will always receive the best care and attention while enjoying our “little slice of jungle heaven”. Ahki is an intimate yet spacious retreat destination nestled amongst 5.5 mountain acres. 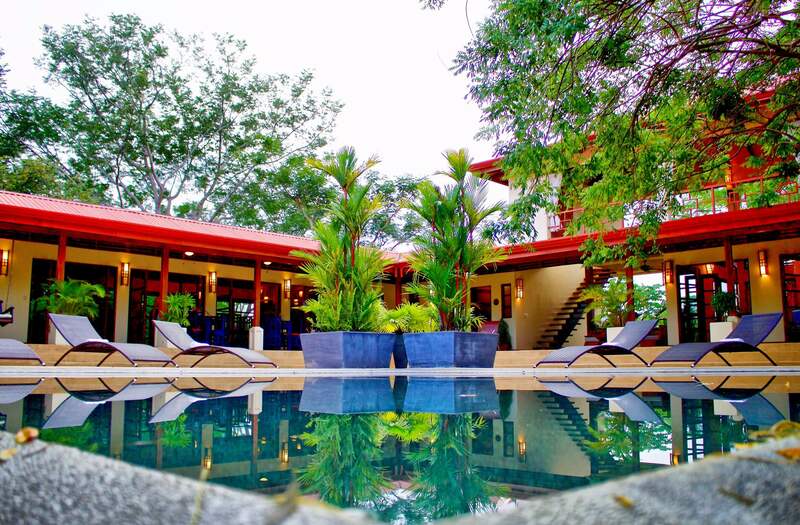 We are located on Pacific coast, in the Guanacaste region of Costa Rica. Imbued with lush, green mountainsides, blue ocean waters, plentiful sunshine and with it’s accessible location, AHKí is the perfect destination for your retreats. As remote as AHKí feels, we are only minutes away from beaches, kayaking, horseback riding, world famous Nosara surfing, zip-lining, nature hikes, shopping, restaurants and more. What is so unique about AHKí is that it truly IS a sacred space – built specifically according to the ancient science of Vastu Shastra, “the yoga of space”, invoking peace, wellness, and harmony. A true, Vastu built dwelling helps to maximize the flow of positive, healing energy throughout. AHKí only offers its entire sanctuary to one group at a time, affording you and your group’s exclusive use of the entire property and its facilities as well as our undivided attention for your needs during your stay. 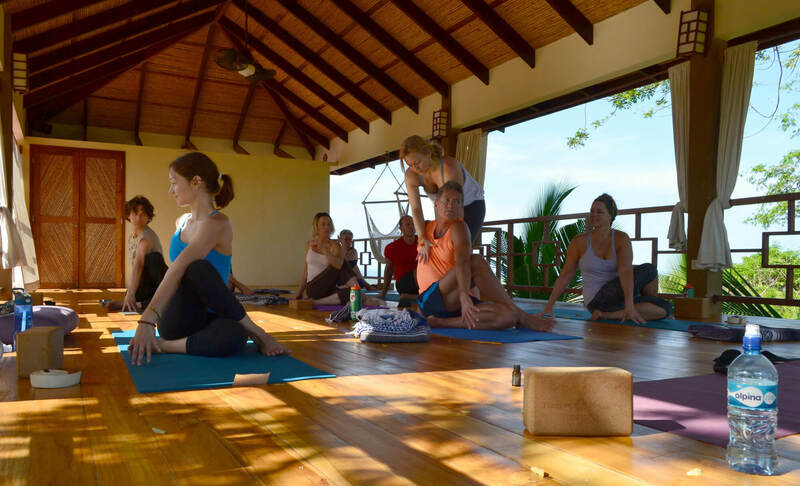 RETREAT LEADERS and FACILITATORS: AHKí is specially designed to accommodate up to 20 people for an all-inclusive retreat experience as well as complete support for your Yoga Teacher Training. Please CONTACT US directly for more information. We look forward to holding the space for your next retreat, helping to make it the best experience possible for you and your group. • 100% of AHKí’s electric consumption is generated using on-site photovoltaic solar panels. • All hot water is provided via U.S. style, on-demand heaters for reliable, safe, environmentally friendly hot water.